Same 861 DOM elements loaded in 2.4 seconds. Also, this one is over https which shows additional SSL negotiation which adds a bit to page load and start render. 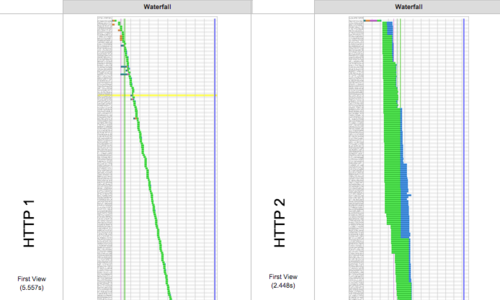 It might also not be the most typical page but serving it over HTTP2 improves page speed by over 3 seconds! When will Apache and nginx support HTTP2?